You may or may not know, but I've been working at Chili's for the past couple years now! I went from being the HOSTESS WITH THE MOSTEST to the SERVER WITH THE MOSTEST! Or at least I try to be just that! I was not paid to feature this post! I was not compensated in any manner by posting about this fundraising efforts with Chili's Bar and Grill. They are my employer, but I am choosing to blog about this fundraising efforts on my own accord! One thing I really love about working at Chili's is that they support great causes. One in particular is not only an awesome cause (this charity does amazing things for children fighting cancer), but it's also a lot of fun for those of us that work at the restaurant, as we raise money! Having experience working in a Cancer Center when I was 18, as the front desk receptionist, this is also a cause that is close to my heart! I bought my new "serving" shirt (my $5 t-shirt money goes towards the fundraising) and I had to get creative in decorating it, because tomorrow...the FUNDRAISING FUN BEGINS! 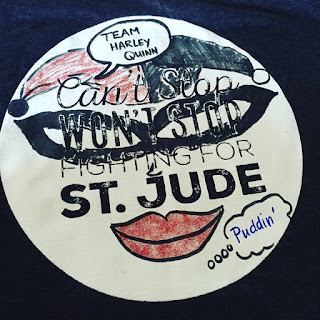 I'm on "TEAM HARLEY QUINN" (my favorite) this year and I couldn't be more excited to help raise money during my shifts! OUR TEAM IS GOING TO DO AWESOME!! We are selling awesome Silly Straws for $1, Create a Peppers (which are always a hit with kids and adults alike), and so much more! Plus, you can just make a cash donation if you'd rather! When you eat at Chili's in September, and your server asks you if you'd like to donate, you should definitely say YES! 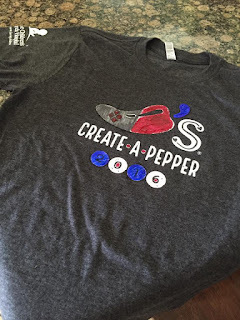 Show your support, purchase some fun products, and let your kids "create a pepper". I'll be there, with my red bow, serving up food with a smile! 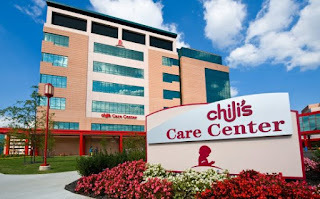 Chili's has raised $58 Million since 2002 for St. Jude in their fundraising efforts! I was not paid to feature this post! I was not compensated in any way by posting about the fundraising Chili's does for St. Jude. @HaloTop - You'll Be Thanking Me!! Healthy Ice Cream Is The Best! 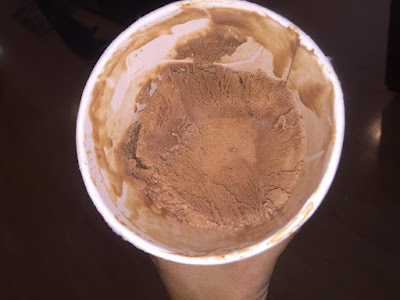 The other day, my fiancee posted something about "Halo Top" on his facebook page. Curious what it was, because I had never heard of it before, I looked it up and realized that it was ice cream...and he had neglected to bring any home to share with me. NO FAIR! But he hadn't even tried it yet! His buddy had been raving about its awesomeness and that just meant that we had to locate some and try it for ourselves! I was not paid to feature this post! I was not compensated or offered product to do this review/feature! This product was purchased on my own accord and in no way was it sponsored or was I paid to post my opinions about this product! The hard part was actually finding it in the our grocery stores. It seems that it's literally flying off the shelves! People are buying it as soon as it's stocked! Ralphs and Whole Foods are the only two grocery chains in our area that carry this brand, and unless you're there when they are loading up the freezer shelves, you might not be able to find them in your stores either! 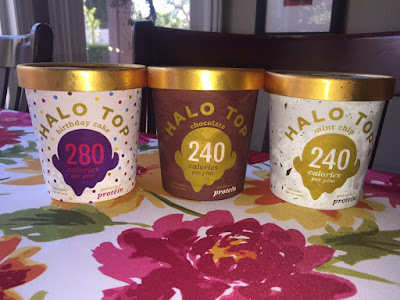 Have you heard of Halo Top Ice Cream before? It's a high protein, low calorie, low sugar ice cream that tastes so much like real ice cream, you'll want to limit yourself to how much you eat...but you don't have to. The flavors range from 240 to 280 calories in the entire pint of ice cream! They are also lower in fats and sugars and higher in protein, which makes it even more guilt free to indulge. They come in a variety of flavors: vanilla bean, chocolate, lemon cake, strawberry, mint chip, chocolate mocha chip, and birthday cake. We were lucky to find that a nearby Ralphs got a shipment the other day and we got there in time to nab almost all of the flavors to taste test. 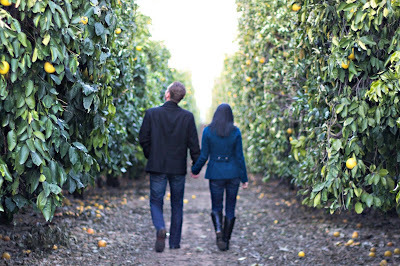 My fiance's favorite flavor is the birthday cake. My "soon to be" mother in law's favorite is the mint chip (and she normally doesn't like that flavor in ice cream, but she said it's super creamy) . I just like the plain old chocolate flavor! Are you looking for a sweet treat that you can feel "GUILT FREE" enjoying for dessert or a late night snack? 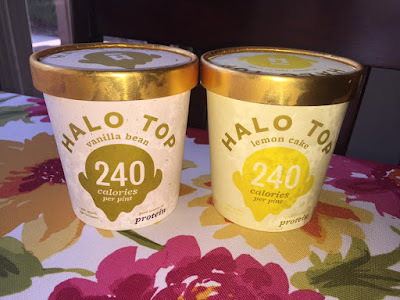 You should totally try Halo Top! You'll be coming back here to thank me in the comment section below! CLICK HERE to learn more or to see where Halo Top Ice Cream is carried in your area! I was not paid to feature this post! 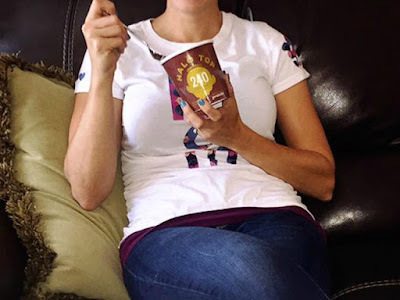 I was not compensated in any way by posting about this new healthy Halo Top Ice Cream! All products were purchased on our own accord! I been obsessed with them for sometime now! 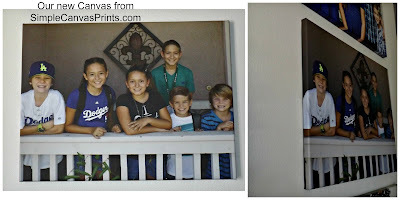 It's the best, easiest, and most decorative way to display my favorite pictures of my kids...and now OUR BLENDED FAMILY! I get asked all the time..."where do you get those canvases from?" So I've decided this is the perfect opportunity for me to share with you guys too! I was not paid to feature this post! I was not compensated at all by posting about these companies or their canvas prints. I purchased these canvases on my own accord and was not given any monetary payment for sharing with my readers my thoughts on their company or their canvas prints!! 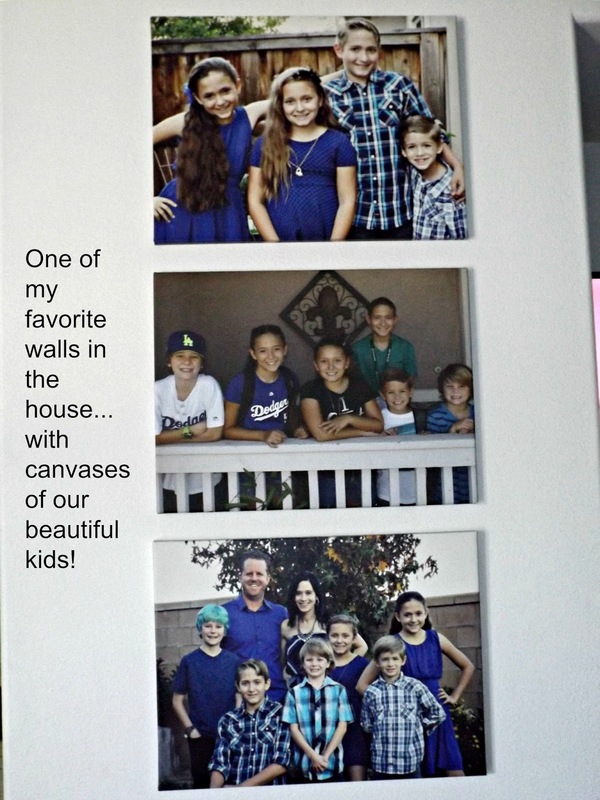 As we have "blended" into one household, I love covering our walls with pictures of all of us together! Now sure...we have plenty of canvases I had printed for my townhome of just my kids...but everyone needs to be included hanging on the walls of the home we share together. Easy Canvas Prints has always been my go to for CANVAS PRINTS! Why? They offer great discounts, sometimes free shipping (if the time is just right) and their canvases are high quality and will last for years to come! But sometimes they're not offering any significant discounts or free shipping offers, which is when I search elsewhere for a canvas print to add to our "blended family" collection. When I came across an amazing deal for Simple Canvas Prints, I thought I might as well give them a try. The price for the 18x24 canvas (the size I love to purchase) was very competitive and I was curious if their quality and shipping would match. I have to admit, I was blown away by their customer service first and foremost. I received a personal e-mail following up on my order, which I was able to respond to and let them know why I had ordered from them this time. They responded back that they would follow up after the canvas arrived, which they then had shipped even quicker than expected (and this was not even for a review/feature for this blog). SERIOUSLY...they more than satisfied my communication needs and when the canvas arrived, it was just as high quality as the canvases I had received from Easy Canvas Prints. In fact, I can't really tell the difference in them at all! Buy More Canvases!! Both places offer amazing canvases and most of the time are running discounts and free shipping offers that make these prints even more affordable. Canvas prints make the best "wall decor" in my opinion, because they will last for years, and they display pictures of your loved one's faces & special moments all over their walls! Here's an 80% coupon link to shop for ANY canvas print on Simple Canvas Prints site. 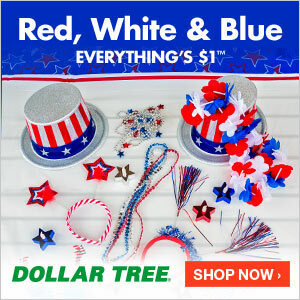 Plus...you get Free Shipping on orders over $19.99! CLICK HERE to head over to Easy Canvas Prints! CLICK HERE to head over to Simple Canvas Prints! I was not paid to feature this post! I was not compensated in any way, monetarily or with product to post this review/feature! It's weird...I have been oneboredmommy.com for so long that typing my new name seems almost like a mistake. The reality is, though, I haven't been bored in a really long time! It's more than time to start this new chapter of our lives! 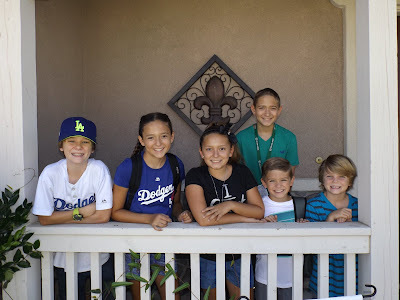 These are the six amazing kids that keep us busy and happily motivated to be the best adults we can be. We're busy raising a future video game creator, a legit Rockstar, a future CEO of a Forbes top 10 company/or Dolphin Trainer at SeaWorld (she's undecided at this point), an Actress, a future Dodger and perhaps a future Firefighter too? Since they are back to school, I am looking forward to bringing you some new product reviews (if companies still want to work with me), some "vlogs", some personal experiences, discounts & coupons and so much more! All of this, while serving up some delicious food to my favorite Patrons at Chili's. So are you ready? Are you excited? 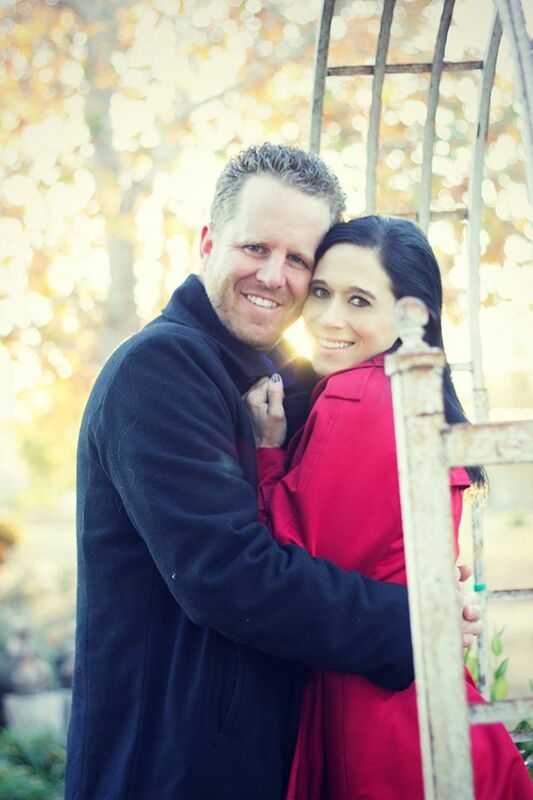 I'm so happy to have you join me as we venture through this newest chapter of our family's life. BLENDING and so much more! Join our "modern day Brady Bunch" and let's find the best products families like yours and mine need to make it through 2016 and beyond!! If you're a company who's interested, please don't hesitate to reach out to me, to find out how to have your awesome products shared with my readers! I was not paid to post this feature! I was not compensated in any way, by any company for this post!